The Beverly Wilshire Hotel, yes the famous one where Pretty Woman was filmed, has been an iconic landmark on Wilshire Blvd and Rodeo Drive for 90 years. Located on the second floor is a rooftop space that overlooks Wilshire Blvd. In the 1960s and 70s it was the Garden Lounge but for the past 30+ years, it has been an empty concrete space used for private events….until now. Just in time for summer, the rooftop has been converted into the Secret Rosé Garden and it is the Please The Palate pick of the week. From the main lobby of the Beverly Wilshire Hotel, head up to the second floor and enter room 211 which has been carpeted pink. Through room 211, another door opens to the rooftop. The Flats in Beverly Hills sits on a corner of Wilshire Blvd, one block east of La Cienega. Outside, construction of the Metro’s Purple Line has the street blocked off but inside, The Flats was bustling. At the heart of Beverly Hills is the famous Rodeo Drive, considered the intersection of luxury, fashion and entertainment. 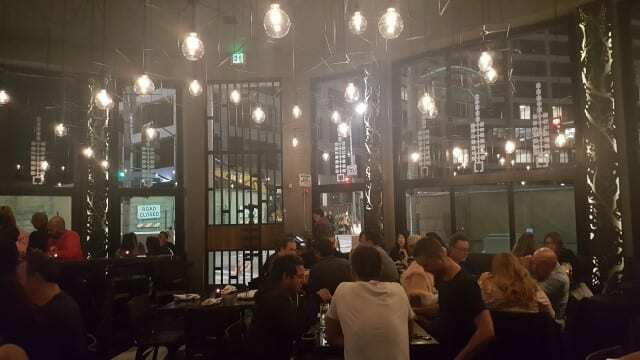 But now as people walk down the street shopping at the likes of Chanel, Prada, Gucci, Valentino, Armani, Dior, Cartier and more, they can also stop for a Napa Valley wine experience in the heart of Beverly Hills at the St. Supéry pop-up tasting salon. St. Supéry, purchased by Chanel 2015, is the sustainably farmed winery in Rutherford, the heart of the Napa Valley. The new pop-up tasting salon is on the ground floor of the building next door to the Chanel boutique. This magnificent, three-story building was previously the home of Lladro porcelain. 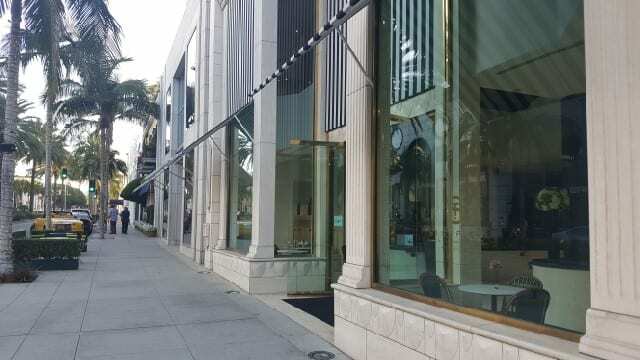 The 1.000-square-foot space has large glass windows looking out onto Rodeo Drive, a high ceiling that covers the three-story building and a grandiose staircase in the center.